Ibrahim Babangida, former military ruler, has again spoken on why he prefers former vice president, Atiku Abubakar, despite a corruption allegation which is reportedly hindering the former number two citizen from travelling to some parts of the world. 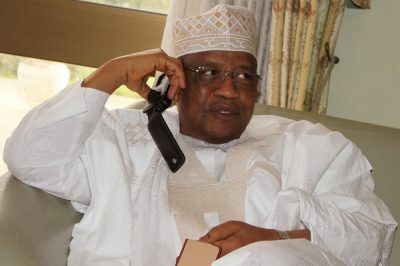 Mr Babangida, who had advised President Muhammadu Buhari not to seek re-election in 2019 against the latter’s wish, was reacting to the comments of the President’s Campaign Council. 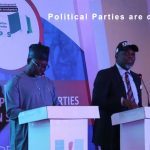 Mr Abubakar emerged the presidential candidate of the Peoples Democratic Party (PDP). He defeated 11 aspirants to clinch the party’s ticket for the 2019 general election. 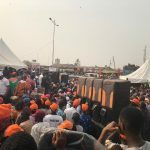 The Buhari Campaign Organisation (BCO) on Sunday while welcoming Mr Abubakar into the 2019 presidential race claimed the former vice president was battling with damning reports on corruption in the country and in the diaspora. “We welcome H.E, Atiku Abubakar to the 2019 campaign trail. “Nigerians would now decide between a candidate with a history full of credibility crises, damning reports on corruption, both home, abroad and from his former boss and another candidate with an unblemished record in public service,” BCO director, Festus Keyamo said in a statement. Reacting to the statement credited to the BCO, the former military ruler said he did rather prefer a president who is well grounded in his country than the one that is always flying out of the country. President Buhari has toured several countries in the world mostly on health ground. He spent most of the first year in office touring parts of the world. 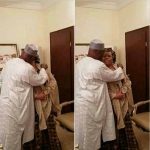 “It has been brought to my understanding that Atiku cannot travel to some part of the world,” Mr Babangida, fondly called IBB, tweeted on Monday. Abubakar, popularly known as Atiku served as vice president under the administration of former President Olusegun Obasanjo. 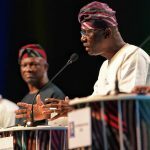 The two leaders fell apart when Mr Obasanjo allegedly sought a third term in office. 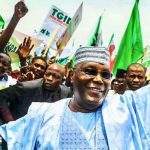 Atiku was alleged to have played a vital role in thwarting his principal’s third term ambition and since then the former president has not been in good terms with the former number two citizens. The Nigerian constitution allows two terms for the position of Presidents and governors. Obasanjo has also vowed not to see Atiku become president of the country. 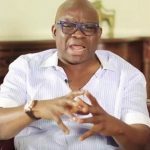 He recently said God will not forgive him if he supports the former vice president to emerge the leader of the country. 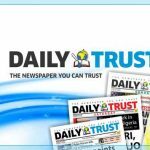 For Atiku, only the United States’ government could explain why they have repeatedly denied him a visa into the country. At the moment, there is no known indictment filed against the former Nigerian leader in any U.S. court, seven years after a Senate Report detailed money laundering activities against him, including being a recipient of a bribe by Siemens. Also, U.S. diplomats in Nigeria, have been dodgy declaring his status. His political opponents had challenged him and even taunted him several times to go to the U.S. on a visit, to test whether he is wanted for any financial crime. He is yet to take up the challenge. Should he win the 2019 election he cannot be arrested in a foreign country over criminal infractions during the currency of his tenure except on the warrant of the International Criminal Court. This is based on the trite principle of State Immunity.